Blue Spirit Canada is a Montreal based animation studio. We’re used to doing 3d animation and we’re excited to begin our first 2d production! 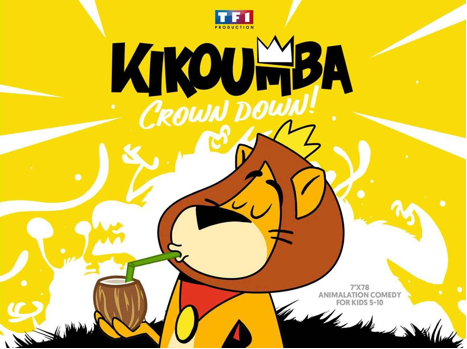 Kikoumba a fun and dynamic TV show about a lion who needs to show every single day that he is the king of the jungle. Not as easy as it sounds! -LEAD ANIMATOR: supervising the team and the episodes and making sure we deliver on time with the best possible quality. -ANIMATORS: animating shots from given layouts and rigged characters, making sure to respect the deadlines. You will need a good knowledge of ToonBoom Harmony. No remote work possible, the job is onsite in our Montreal Studio. Canadians, Permanent Residents or Work Permit Holders only. We will ask for an animation test if we think you would be a good fit. This entry was posted on Monday, August 20th, 2018 at 11:28 am	and is filed under Jobs. You can follow any responses to this entry through the RSS 2.0 feed.